Tis the season for health and healthy skin alike. We’ve rounded up some of our favorite smoothie and juice recipes for healthy skin. These light and bright recipes will have you feeling refreshed through the winter and carry you into springtime! 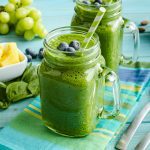 This smoothie features a star ingredient – Vitamin C! Most people know that vitamin C helps ward off cold and flu viruses. Did you know that it also plays an important role in healing wounds and producing collagen? Collagen helps maintain skin’s elasticity. Furthermore, sweet potatoes are an excellent source of vitamin C! Then, throw in an orange and some pineapple and you’ve got a refreshing concoction. Drink up! 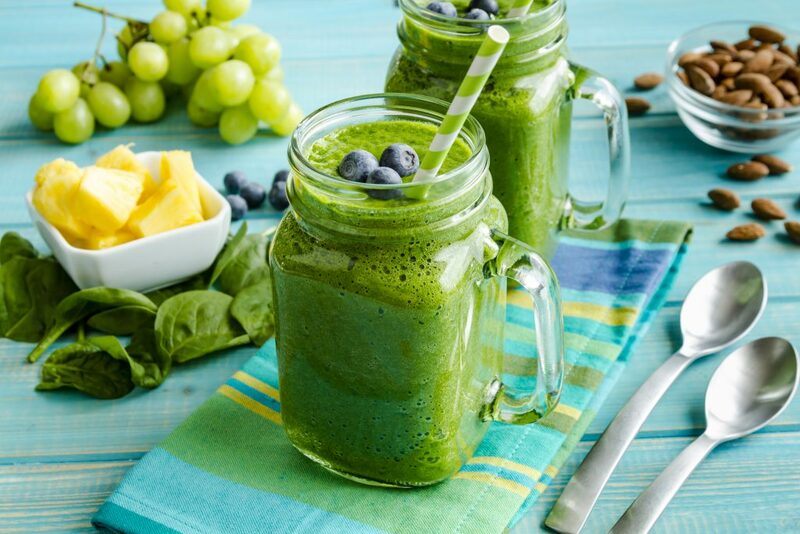 This green smoothie is as light and refreshing as spring. Anti-inflammatory cucumber aids in digestion, hydrates, and helps detox winter-weary skin. Pear adds a touch of sweetness, while lime and fresh dill add an unexpected flavor pairing. Also, tiny, powerful chia seeds add fiber and protein for the energy needed to jump in puddles and start your spring cleaning! This is a 3-ingredient powerhouse that’s sure to make you feel uplifted! Each of these ingredients will make your skin glow. Vitamin C helps keep your skin firm + gives it an inner radiance. Vitamin K helps reduce stress level which has a positive effect on your skin. Also, lots of water helps the body stay hydrated. A hydrated body means no dryness, less wrinkles, and flaking. Which means healthy looking skin!